Rupert Murdoch's News Corp is paying $415 million for the Canadian publisher of romance novels. Harlequin has fallen for a charming billionaire. Harlequin, currently owned by Torstar Corporation, will become part of News Corp's HarperCollins Publishers. News Corp said the deal will give HarperCollins a bigger presence in a "key content vertical" and in markets outside the United States. Almost a year ago, Murdoch's News Corporation spun its global television and film businesses like Fox News and Fox Sports into a new entity named 21st Century Fox; his newspapers and book publishing imprints remained a part of the much-reduced News Corp.
Harlequin is News Corp's biggest purchase since the breakup. Robert Thomson, chief executive of the new News Corp, called Harlequin "a perfect fit" that "is expected to provide an immediate lift to earnings." 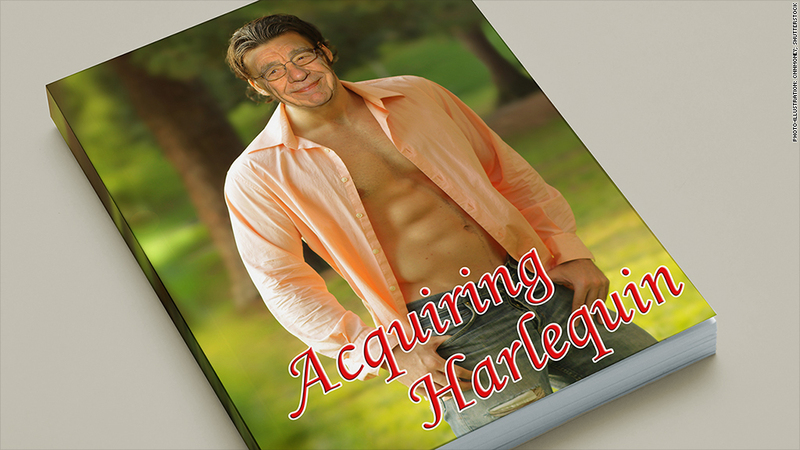 Along with cheesy covers of chiseled men seducing women, Harlequin is famed for publishing a huge number of books -- more than 110 each month. It also prints novels in 34 languages, according to the publisher. The novels featured on Harlequin's home page Friday included "My Fair Billionaire," "Destiny's Last Bachelor?" and "The Heartbreaker Prince." "Harlequin has a devoted audience around the globe and an empathetic insight into contemporary cultures, which is itself a remarkable resource," Thomson said in a statement. "This acquisition will broaden the boundaries of both HarperCollins and Harlequin, and is a significant step in our strategy to establish a network of digital properties in the growth regions of the world." News Corp and Torstar said they expected the sale to take effect by the end of the third quarter of the year. Harlequin will remain based in Toronto, Canada.